Renine Metalloys is a renowned manufacturer and stockist of Super Duplex Stainless Steel UNS S32750 / S32760 Sheets Plates Coils, which has higher thermal conductivity than austenitic stainless steel. Super Duplex Stainless Steel UNS S32750 Sheets is used in Subsea control lines, Fire-fighting systems, Offshore platforms, and more. 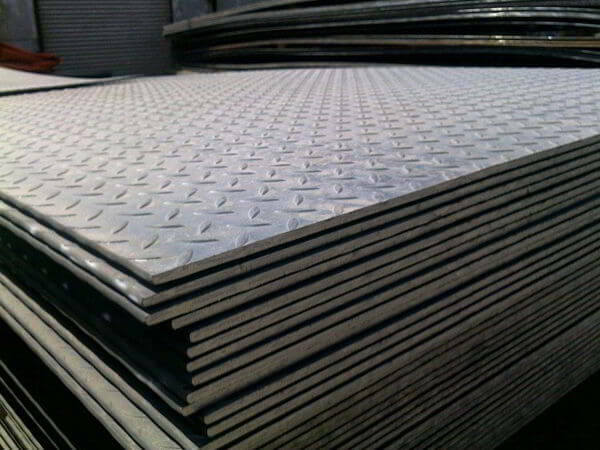 Super Duplex Steel UNS S32750 Plates is often used for chemical process industries, heat exchangers, vessels, and piping. Super Duplex S32750 Coils is also used for mechanical and structural components, corrosion-resistant parts, high strength, power industry FGD systems, etc. Super Duplex Stainless Steel UNS S32760 Sheets has good weldability and very high mechanical strength. In addition, Super Duplex Steel UNS S32760 Plates offers high resistance to crevice corrosion and stress corrosion cracking. The duplex structure provides our Super Duplex S32760 Coils with exceptional resistance to chloride stress corrosion cracking. 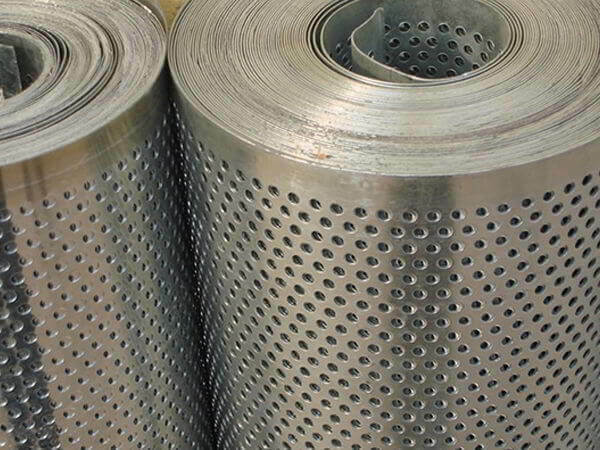 These Super Duplex 2507 Sheets is generally supplied with a Pitting Resistance Equivalent (PREn) of greater than 40 which guarantees high resistance to pitting corrosion. Our Super Duplex 2507 Plates has high resistance to stress corrosion cracking. These Super Duplex 2507 Coils is widely used e.g. for pump parts, propeller shafts, and piston rods. 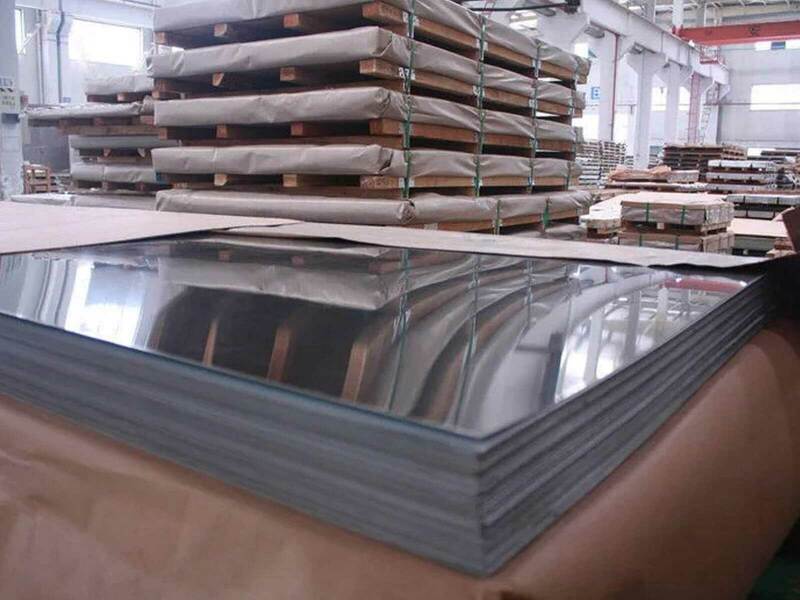 Our Alloy 2507 Sheets is generally supplied in the annealed condition giving yield strengths in excess of 80 KSI (550Mpa). These Alloy 2507 Plates contains 25 % chromium, 7 % nickel, 3.6 % molybdenum as well as copper, tungsten, and nitrogen. Length 2000 mm / 2440 mm / 2500 mm / 3000 mm / 6000 mm. ASTM A240M Cold Rolled (CR) Super Duplex Steel Coils, ASME SA240 Super Duplex Steel S32760 Strip Manufactures in Mumbai, Super Duplex Steel Foils, Super Duplex S32750 HR Coils, Super Duplex Steel Circles, Super Duplex Steel UNS S32750 Rings, Super Duplex Steel Blanks, Super Duplex UNS S32760 Flats, Super Duplex S32750 Stainless Steel Profile, Super Duplex Steel Rolls, ASTM A240 Super Duplex Steel One side Polished Sheets, UNS S32750/S32760 Super Duplex Steel Both Side Polished Sheet and Plate, Super Duplex Steel UNS S32750 Bead Blast Finish Sheets Exporters, Super Duplex Steel Sheets, Super Duplex Steel UNS S32760 Sheets, Super Duplex Steel Plates, Super Duplex Steel UNS S32750 Plates, Super Duplex Steel UNS S32760 Coils, Super Duplex Steel Coils Suppliers, ASTM A240 Super Duplex Steel Sheets Plates and Coils, Ferritic / Austenitic stainless steel Sheet Plate & Coil Stockholders in Maharashtra, Super Duplex 2507 Stainless Steel Perforated Sheets Traders in C.P.Tank Road, Super Duplex Steel UNS S32750 Rolled Floor Plates Stockists in Mumbai, DIN 1.4410 HR Hot Rolled Coils, Super Duplex Steel UNS S32760 Mill Finished Sheet, Buy Super Duplex UNS S32750 Bright annealed BA Finish Sheet, UNS S32760 Slitting Coils, Super Duplex Steel UNS S32750 Cold Rolled CR Coil Exporters in India, UNS S32760 Super Duplex Floor Plates, UNS S32750 Diamond Plates, Low price Super Duplex Steel UNS S32760 Decorative Sheet Plates, PE or PVC coating surface Finish Super Duplex Steel sheets Stocks, Polish Finish Super Duplex Steel UNS S32750/S32760 Coils, Type S32750 Super Duplex Half Hard Steel Coils, 2507 Super Duplex embossed Plates Vendors, Super Duplex Steel UNS S32760 hair line surface finish Sheets, sand blast Finish Super Duplex 2507 Stainless Steel Plate, Brush Finish Super Duplex Steel S32750 Sheets Stockyards, Super Duplex Steel UNS S32750/S32760 Hard Tempered Coils Stockists, SAF 2507 Full Hard Tempered Super Duplex Steel Sheet & Plate, Alloy 2507 Sheets, Alloy 2507 Plate, Alloy 2507 Coils Dealers, Super Duplex stainless Steel UNS S32750 Shim Sheets, UNS S32760 Plain Sheets, Cheap Super Duplex Steel DIN 1.4410 Chequered Plates, UNS S32750 Coils, Super Duplex Steel UNS S32760 Cold Rolled Plates wholesaler in Charni Road, ASME SA240 2507 Super Duplex Steel CR Sheets Manufactures in Mumbai India. Bengaluru, Thiruvananthapuram, Bogota, Noida, Howrah, Rajkot, Haryana, Ludhiana, Port-of-Spain, Ernakulam, Montreal, Ahmedabad, Jaipur, Hanoi, Mexico City, Chiyoda, Singapore, Sharjah, London, Milan, Pimpri-Chinchwad, Coimbatore, Al Khobar, Bhopal, Moscow, Manama, Vung Tau, Kolkata, Mumbai, Granada, Faridabad, Al Jubail, Bangkok, Gimhae-si, Jeddah, Gurgaon, Lahore, Petaling Jaya, Madrid, Lagos, Houston, Navi Mumbai, Muscat, Geoje-si, Karachi, Pune, Edmonton, Hyderabad, Dammam, Jakarta, Turkey, Hong Kong, Santiago, Ulsan, Toronto, Indore, Seoul, Vadodara, Atyrau, Nagpur, Baroda, Tehran, Ahvaz, Doha, Cairo, Istanbul, Abu Dhabi, Secunderabad, Riyadh, Caracas, Kuwait City, La Victoria, Colombo, Nashik, Kanpur, Dallas, Kuala Lumpur, Dubai, Sydney, New Delhi, Courbevoie, Visakhapatnam, Aberdeen, Ranchi, Chennai, Ho Chi Minh City, Chandigarh, Jamshedpur, Busan, Thane, Perth, Los Angeles, New York, Surat, Brisbane, Rio de Janeiro, Australia, Calgary, Algiers. Ireland, Canada, Switzerland, Nigeria, United Kingdom, Taiwan, Peru, Poland, Netherlands, Colombia, Russia, Argentina, Kazakhstan, Chile, Greece, Lithuania, Bolivia, Romania, Ecuador, Saudi Arabia, Costa Rica, United Arab Emirates, Nigeria, Lebanon, Australia, Belgium, Czech Republic, Croatia, Norway, Portugal, Venezuela, South Africa, Malaysia, Austria, Yemen, United States, Brazil, Hungary, Sweden, Puerto Rico, Gabon, Spain, Morocco, Denmark, Belarus, Kenya, Jordan, Singapore, Poland, Bulgaria, Germany, Mongolia, Serbia, Iran, mexico, srilanka, thailand, malaysia, Sri Lanka, Libya, India, Mexico, Tibet, Israel, Indonesia, Thailand, Azerbaijan, Zimbabwe, Ghana, Trinidad & Tobago,Tunisia, Iran, New Zealand, Afghanistan, Bangladesh, Bahrain, Gambia, Chile, Macau, Ukraine, Qatar, Egypt, Namibia, China, brazil, France, Mexico, Slovakia, Vietnam, Bhutan, cyprus, Japan, Oman, Nepal, Finland, Estonia, Algeria, Italy, Philippines, Kuwait, Turkey, Hong Kong, South Korea.